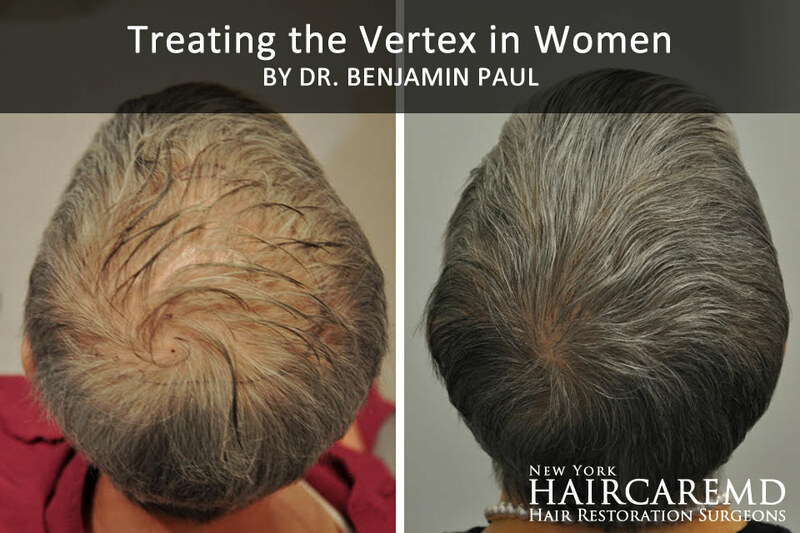 Female hair loss is classically described as a loss of the frontal density with a retention of the hairline; however, there are many women who thin over the "vertex" and have no frontal hair loss at all. As a first line therapy, minoxidil may be used to try and thicken the hair. This treatment requires twice daily maintenance. In women who do not achieve the desired effect with minoxidil, there are additional treatments available. In the past, women have been turned away from hair transplant as the techniques of hair plugs did not well treat this zone. Today, our improved technology and approach allows us to treat women with a permanent and natural result.